Recently, one of my favorite blogs, ParkingSpace23 (a fantastic, doctrinally sound blog I’d encourage everyone to subscribe to), published an excellent article by John Chester called Still Be Discerning about Discernment Ministries. It’s all about John’s thoughts on discernment blogs and podcasts and why he has chosen to swear off of them. John seems like a thoughtful guy and he handled what can be a touchy subject evenly, calmly, scripturally, and with grace. As someone who frequently writes on discernment topics, it gave me some good food for thought and an opportunity to biblically examine both my writing and reading/listening habits. It’s a great article, I was thankful for it, and I agree with a lot of his points. But while John has decided not to partake of discernment blogs and podcasts, I still find discernment ministry to be an important aspect of this blog as well as my personal spiritual “diet”. Does that mean I think John, or any other Christian, is wrong for not wanting to regularly read or listen to discernment material? Absolutely not! But I’d like to present a bit of a different perspective regarding the value of discernment ministry. In the first few paragraphs of his article, John draws a distinction between two different types of discernment ministries- a disctinction which I think is both astute and important. 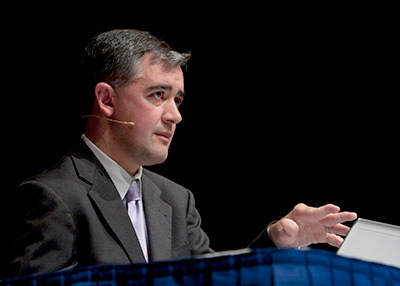 John differentiates between what I would call “propositional” discernment sites like CARM, and, if I’m understanding him correctly, mine – which generally post single, position paper-type articles on a given false teacher or false doctrine – and what I would call “daily news” discernment ministries such as Berean Research and Fighting for the Faith – which report on the shenanigans du jour of false teachers and apostate churches. John’s position is that the propositional discernment ministries [PDM] can be helpful when needed, but he is not fond of the daily news discernment ministries [DNDM]. I think both can be beneficial, assuming they’re done biblically. Take a look at John’s points and my counterpoints, and then you can prayerfully decide whether or not it would be profitable for your sanctification to include discernment media as part of your spiritual fare. Michelle’s counterpoint: “Someone with even a rudimentary sense of discernment” is the crucial phrase here. 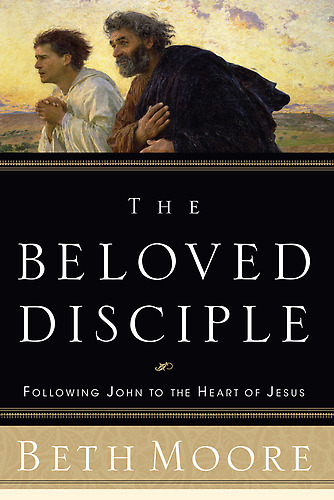 Perhaps John is blessed to pastor a body of believers who are good bereans and most of the Christians he knows are discerning. I hope that’s the case. It should be the case that every believer has “a rudimentary sense of discernment” and immediately rejects false doctrine when she hears it. Nothing would bring me more joy. But, sadly, that’s not the case. In fact, in my experience, the exact opposite is true, especially among Christian women. The vast majority of Christians are very undiscerning when it comes to false teachers and false doctrine. Often, people lack discernment because they’re false converts. But because most churches don’t proactively teach discernment, there are also plenty of genuninely born again believers who take at face value that anything which wears the label of “Christian,” is sold at a Christian retailer, or is proclaimed by a Christian celebrity is biblical and trustworthy. I know, because I used to be one of those undiscerning Christians who hadn’t been taught any better by my church. Sure, I could pick out charlatans like Benny Hinn or Todd Bentley, and I probably would have described people like Kenneth Copeland and Jesse Duplantis as “wrong” or “that’s not what Baptists believe” without really knowing why. But the Beth Moore Bible studies that every church I’ve ever been a member of has pushed on its female membership? I had no idea she was teaching false doctrine, especially since my own church was endorsing her books. It wasn’t until I Providentially “stumbled across” Todd Friel’s TV program, Wretched, one night several years ago that I began to understand what false doctrine was, why it was wrong, biblically, and how it could hurt me and the church. And it wasn’t until I discovered Chris Rosebrough’s Fighting for the Faith that I learned how to compare everything to Scripture – to listen to sermons with a discerning ear and read Christian books with a discerning mind. Todd and Chris taught me the discernment no church ever bothered to mention to me. And from the myriad of discerning Christians I’ve known, heard from, and read about, people like me are the rule, not the exception. It’s not right that the church isn’t teaching Christians how to be discerning. I think every biblically responsible discernment ministry would agree that it is the church’s job, not a discernment ministry’s, to teach Christians to be bereans. But that’s not happening. And I thank God for those ministries who are standing in the gap- who have helped thousands of Christians like me. Michelle’s counterpoint: John may hold more closely to the regulative principle than I do, which would, understandably, account for my difference in perspective from this point. We do a lot of things, both in church and in parachurch ministry, that there’s no specific biblical model or mandate for. There’s no biblical model or mandate for vacation Bible school or crisis pregnancy ministry or handing out gospel tracts or even writing for a Christian blog. Yet these, and many other ministries, can carry the gospel to the lost (I’ve heard of many people who have read/listened to DNDMs, realized they were false converts, and have become believers.) and edify the saved – just like discernment ministries can. And there’s certainly a biblical mandate for that. Michelle’s counterpoint: Jesus didn’t do sermon reviews (that we know of) the same way Chris Rosebrough does. But He did publicly enumerate and correct many of the Pharisees’ false teachings in Matthew 23. He publicly clarified Scripture and corrected unbiblical beliefs and false teachings – “You have heard it said…but I say to you…” – in the Sermon on the Mount. He publicly warned people against the false teaching of the scribes, Pharisees, and Sadducees. And every time those scribes, Pharisees, and Sadducees confronted Him with questions or after a miracle, He set them straight for the whole crowd to hear. As to the Nicolaitan and Colossian heresies, Colossians and Revelation 2 were addressed to particular churches. Just because we may not know much about these heresies doesn’t mean the Ephesian and Colossian churches weren’t thoroughly familiar with them. Perhaps that’s why John and Paul didn’t elaborate- because their intended audiences were already knowledgeable about those heresies. And perhaps the reason they might have been familiar with those heresies is that they were constantly being warned about them. Every book in the New Testament (except Philemon) warns against false teaching or false teachers. Not so with the church today. Christians are not only not being warned about the heresies and false teachers running rampant in evangelicalism, undiscerning pastors are actually embracing false teachers, inviting them to speak at their churches, simulcasting their conferences, sharing their social media posts, and ordering their materials for the church’s small groups. And the church at large is so biblically illiterate that Christians have no idea they’re being fed false doctrine. Michelle’s agreement: I could not agree with this point more. This verse isn’t about discernment. (I usually hear this verse more frequently in support of apologetics ministries, and it isn’t about apologetics, either.) It’s about evangelism. One of the main features of today’s false doctrine is the twisting of Scripture and ripping it out of context. How can we who do discernment work rebuke false teachers for taking Scripture out of context and then turn right around and do the same to justify our own ministries? We know better. Specks and logs, anyone? There are plenty of other passages of Scripture (such as the ones I’ve cited above and others) that speak of the importance of warning against false teachers and removing false doctrine from the church. We should not be using a verse that has nothing to do with discernment to justify discernment ministry. Michelle’s agreement/counterpoint: John is right, here. Some of the discernment ministries that (incorrectly) claim the first part of 1 Peter 3:15 as justification for their ministry are not following the second part of the verse which says to “do so with gentleness and respect”. There are discernment ministries whose articles I absolutely will not share or link to because their snideness and name calling are so over the top it overshadows the valid point they’re trying to make, sometimes even damaging their own credibility. At the same time, we do see instances of Jesus using harsh language and calling false teachers names, and Paul, Elijah, and others couldn’t always be characterized as gentle or respectful. The thing is, their cultural context was a little different from ours, and these are descriptive passages, not prescriptive. Sometimes different cultures call for different approaches. Additionally, one woman’s “gentle and respectful” is another woman’s “harsh and unkind.” I’ve written discernment articles that were characterized as hateful by some Christians and too nice toward the false teacher by others- both about the same article! It not only reminds me of how to contend for the faith (not quarrelsome, kind, patient, gentle), it reminds me who I’m contending for (those being held captive by Satan’s snare of false doctrine), and why I’m contending (that they might repent, know the truth, come to their senses, and escape captivity). Michelle’s agreement: This is absolutely true. I don’t know whether it makes me over-critical or not, but when I OD on discernment media it certainly makes me feel angry, frustrated, depressed, and that there’s no hope for the church. It takes my eyes off Christ and the very real salvific and sanctifying work He is still doing in churches across across the globe, and causes me to focus on the monster of false doctrine instead. It’s exceedingly important that we not go overboard on discernment or any other single aspect of theology or or spiritual life. In order to be spiritually healthy, we must have a balance of all the good things: discernment, Bible study, prayer, evangelism, fellowship, worship, service, etc. When I find myself spending too much time in Discernment Land, I know it’s time to step back and readjust my focus. Michelle’s agreement/counterpoint: I’ve already shared my thoughts on the helpfulness of discernment ministries for Christians who are not discerning, but, if I’m understanding him correctly, I think what John is saying here is that Christians who are already discerning aren’t going to be taken in by false teachers, and, therefore, have little need for regular consumption of discernment media. I generally agree with that. I still subscribe to a few DNDMs and peruse their daily headlines, not because I need to learn discernment, but because I like to know what’s going on in the church, just like people skim section A of the newspaper because they like to know what’s going on in the world. I might add, though, that just because someone is the type of person who reads theological blogs doesn’t mean he’s on top of things, discernment-wise. Thom Rainer writes a theological blog (and books, and has a seminary Ph.D), yet persists in allowing false doctrine onto the shelves of LifeWay despite the many rebukes he has received from pastors, seminarians, lay people, and, yes, discernment media. Not long ago, I took a class via video from a conservative Southern Baptist seminary president who positively (albeit in passing) cited Beth Moore and Rick Warren in one of the sessions. And these are just two isolated examples. There are many more. Michelle’s agreement: This is so true. There’s no way I could disagree with this, because I have been guilty of it myself far too often. I would only add that this is not a problem specific to discernment ministry. Every ministry has blind spots because every Christian has blind spots. We’re all guilty of hypocrisy, myopia, failure, and sin. And, because we’re believers, when a brother or sister points out our sin, we repent, we receive God’s wonderful, cleansing, restorative grace, mercy, and forgiveness, and we move forward in obedience to Him and His word. I am not saying that you must swear off “discernment” blogs and podcasts, but I am saying I did, for the reasons above along with others, and I think I am better off for it. I would challenge you to consider what I have written and to think deeply about your spiritual diet. I am exhorting you to be discerning about discernment ministries. I am not saying you must partake of discernment blogs and podcasts. But I am saying I do, for the reasons above along with others, and I think I am better off for it. I would challenge you to consider what John and I have written and to think deeply about your spiritual diet. I am exhorting you to think about it, study about it, pray about it, and discern what God would have you do about consuming discernment media. 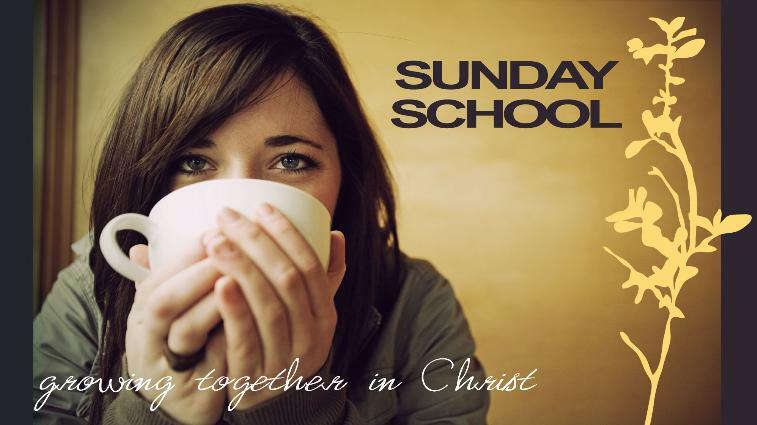 Are you familiar with the Christian Apologetics & Resource Ministry (CARM)? You should be. It’s an invaluable resource. From answers to tough questions, to apologetics training, to information on tons of cults, world religions, and heresies, CARM is a treasure trove of materials that will inform you, help you grow in your faith, and evangelize and disciple others. 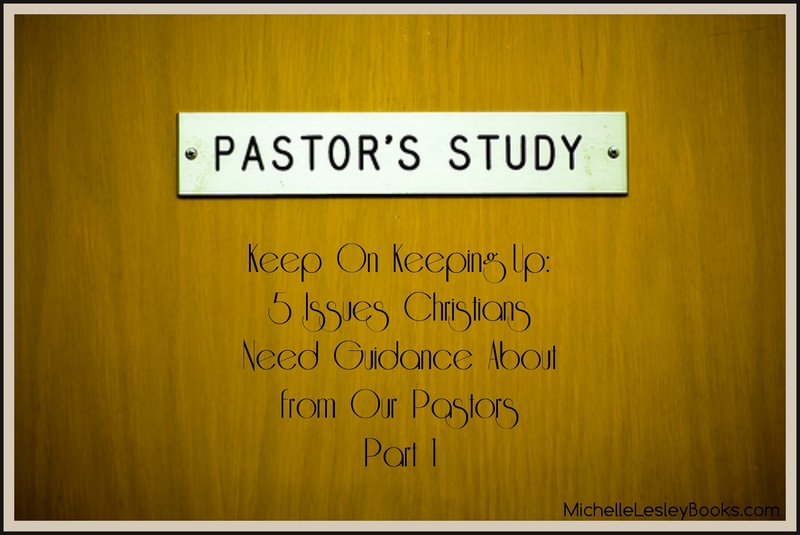 Recently, I came across this resource article for churches which approve female pastors and elders. Readers often ask me for information like this that they can send out, so I thought I’d pass it along. Click here for the full article. If you are considering commenting or sending me an e-mail objecting to the fact that I warn against false teachers, please click here and read this article first. Your objection is most likely answered here. I won’t be publishing comments or answering emails that are answered by this article. I’ve put this off as long as I can. I have stood aside and extended grace and benefit of the doubt for the last couple of years in the face of evidence that said I shouldn’t. But because I love my sisters in the body of Christ, I cannot keep silent about this any longer. and it’s time to take a good hard look at the slope she’s headed down. This is not a request for you to believe me or agree with my personal opinion. I’m asking you to take a discerning look at the evidence and compare with Scripture what she is currently doing and teaching. If you do, I think it will be obvious to you that, whatever she may have taught in the past, something is seriously wrong now. 1. Beth Moore preaches to men. This is a video I chose at random (from the dozens of videos on YouTube featuring Beth Moore) which clearly shows men in the audience within the first 45 seconds. Beth Moore has, for quite a while, been teaching and preaching to men as well as women as you can see in this video. First Timothy 2:12 clearly forbids this. 2. Beth Moore is willingly being influenced by false teachers. Beth Moore tweeted this in December 2013. “Lakewood” is prosperity preacher Joel Osteen’s church. Christine Caine also preaches to men and is part of the leadership team of Word of Faith (prosperity gospel) church, Hillsong. 3. 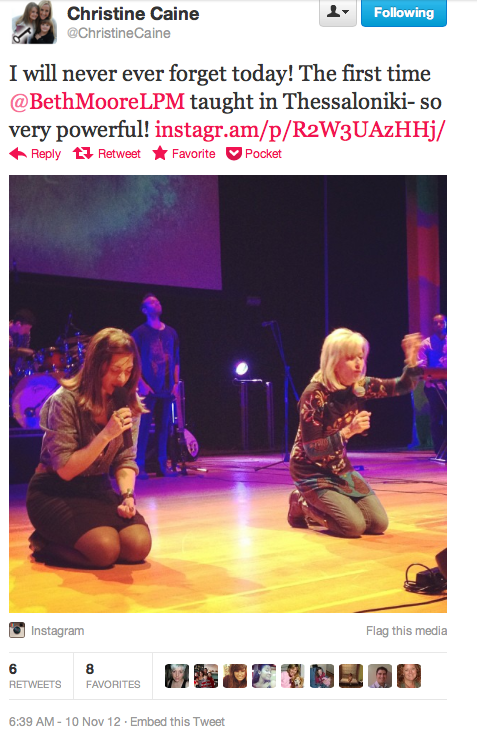 Beth Moore is partnering in ministry with and being embraced by false teachers. Beth Moore speaking at Hillsong’s 2012 Colour Conference. Beth Moore has been a featured speaker at Hillsong‘s Colour Conference for several years and is scheduled to speak again at the 2014 conference this month. She was also a featured speaker at the “Be the Change” conference with Christine Caine and Lisa Bevere in 2012. More recently, Beth has begun an ongoing partnership with Joyce Meyer, regularly appearing on her television show and serving as one of two main speakers (the other was Christine Caine) at Joyce’s 2016 women’s conference. See the “Additional Resources” section at the end of this article for other false teachers Beth joins with. “We’re excited to have Beth Moore in the studio with us today taping upcoming shows of Enjoying Everyday Life. Scripture is quite clear that we are to have nothing to do with false teachers especially when it comes to ministry. 4. 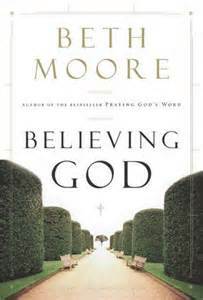 Beth Moore claims to receive direct, personal, extra-biblical revelation from God. Beloved, I am convinced one of our severest needs is pure rest. Not only sleep, but refreshment and recreation. Recently God spoke to me about capturing what He and I are calling “Sabbath moments.” Like many of yours, my schedule right now is particularly tough, and I see no time in the near future for a number of days off. God spoke to my heart one Saturday morning while I was preparing for Sunday school: “My child, in between more intense rests, I want to teach you to take Sabbath moments.” I wasn’t certain what He meant. Just that morning God confirmed His desire for me to drive all the way to the other side of Houston to the medical center to visit a patient with brain cancer. I was very thankful for the privilege of visiting this patient, but I knew in advance it would be tough emotionally and far from restful. What God began to say to me about five years ago, and I’m telling you it sent me on such a trek with Him, that my head is still whirling over it. Pick up any Beth Moore book or watch any video of her teaching, and count how many times she says, “I think…” or “I believe…” or bases her teaching on a personal experience or story rather than teaching what God’s word clearly says. 5. Beth Moore refuses correction. In this video, Beth Moore pre-emptively strikes out at anyone who sees and hears what she will soon be teaching or doing and finds it to be in conflict with Scripture. Do you notice she does not quote or read a single passage of Scripture to back up what she is saying? Notice how many times she says “I believe…” This is all based on her own subjective ideations. You can find the transcript here if you would like to read it. You’re absolutely right, a simple difference of opinion between two people doesn’t make someone a false teacher. And making a mistake or getting something wrong doesn’t make someone a false teacher either, if, when she is shown from Scripture that she is wrong, she repents and stops doing/teaching whatever she was wrong about. You have been shown numerous times by numerous people that you mishandle and disobey God’s word (you preach to men in direct violation of 1 Timothy 2:12ff, you have unequally yoked yourself with false teachers in the prosperity gospel movement such as Christine Caine, Joyce Meyer, and others, also in violation of Scripture, you twist and misapply God’s word, etc.) and yet you persist in doing so and continue to justify yourself and cast aspersions on brothers and sisters in Christ who call you to repent and conform to God’s word. THAT is what makes you a false teacher, not a simple mistake or disagreement. You are not being called a false teacher because of man’s opinion, but because you rebel against God’s word and lead others to do the same. Please repent, obey God’s word, and teach sound doctrine. That is what the women who listen to you need. This makes absolutely no sense whatsoever. First of all, where – in context and rightly handled – does the New Testament say this? It can’t. All of the dreams, visions, prophecies, etc. in the Bible from God to His people became Scripture once they were written down, and we know that all Scripture is breathed out by God. Know what that means? God Himself equates all of these types of revelation with Scripture. When God speaks, God speaks. He doesn’t speak authoritatively in Scripture and non-authoritatively or less authoritatively outside of Scripture. Doing so would make Him imperfect and, thus, not God. People who claim to receive “words of knowledge, prophetic messages, insights, revelations, dreams, and visions” claim that these extra-biblical revelations are God speaking to them. If this is true, and this really is God speaking, then His spoken word to them is “on the same level as Scripture”. (And I won’t even go into the instances in which these folks, including Beth Moore, have said God has told them something that conflicts with Scripture or that God told them something was going to happen and it didn’t. I guess God just gets it wrong sometimes?) If it is not true and it really isn’t God speaking to them then why are we listening to them and why are they saying that their own ideas and imaginings are God speaking to them? These are merely five brief examples of Beth Moore behaving and speaking in ways that mishandle God’s word or otherwise conflict with the Bible. Below are some additional evidences of her false teaching and disobedience to Scripture. Disclaimer: The specific links below are provided and endorsed as evidence pertaining to this article only. I do not endorse any of these sites in so far as any of them might deviate from Scripture or conflict with my beliefs as outlined in the “Welcome” or “Statement of Faith” tabs at the top of this page.